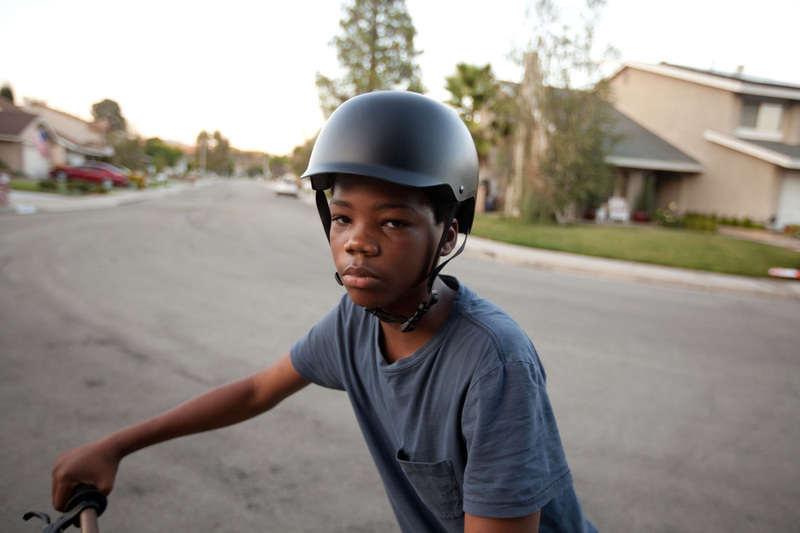 This article is a review of EARTH TO ECHO. Any children of the 1980s reading this? Imagine your favourite movies from that era being dumbed down into creatively bankrupt lazy tripe, and you will have an inkling as to the quality of EARTH TO ECHO. Modern updating comes in the form of a found footage formula, all but redundant from over-use (see also the execrable THE DINOSAUR PROJECT), and hyperactive attention-deficit storytelling. E.T. THE EXTRA-TERRESTRIAL (1982), FLIGHT OF THE NAVIGATOR (1986), *BATTERIES NOT INCLUDED (1987), SHORT CIRCUIT (1986) and THE GOONIES (1985) all cast a long shadow over EARTH TO ECHO. Unintentional irony in the “echo” of the title might be argued. Three male friends are on the eve of being separated, thanks to the government declaring their town is about to be flattened to make way for a highway. Footage is being presented from a year ago. Why? Best guess, to allow narration from one of the trio, Tuck (Brian Bradley), who unnecessarily explains the obvious. Characterisation comes in the form of simplistic single issues given to each: Being ignored by parents, being an orphan and having no more than two friends; all of which cannot bring to life an under-written, charmless coterie. Why are they trying to save their bland, homogenous town (more unintentional irony) anyway? Mulberry Woods, Nevada is certainly not the “Goon Docks”, the beautiful Oregon coastal community in THE GOONIES. 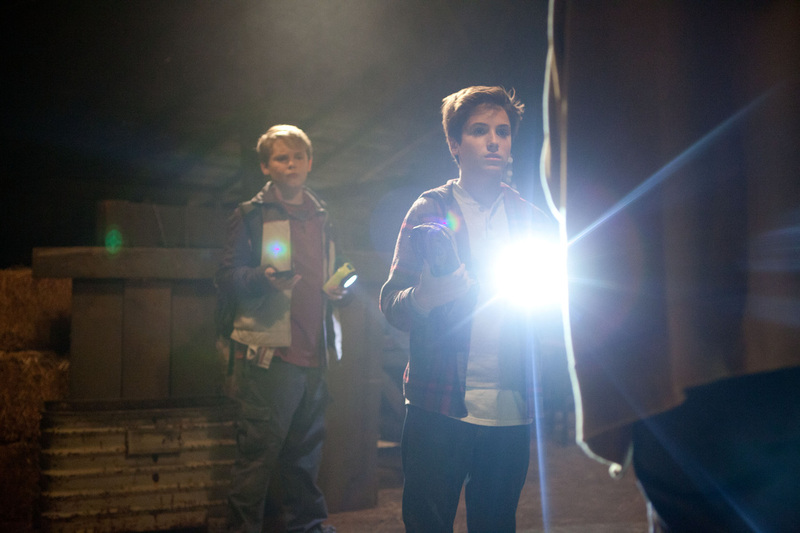 Munch and Alex (Teo Halm) make up the rest of the 13-year old gang. Eventually, a female comrade is artlessly shoehorned into the mix, monikered “mannequin girl” by Munch until given a name, Emma (Ella Wahlestedt). Where might salvation for Mulberry Woods come from? That’s right, a mini robot owl thing from another planet. It travels light years, yet is given the name Echo by the children because he beeps. I kid you not. One beep for yes, two beeps for no, for a technically advanced life form. Remember Archimedes from CLASH OF THE TITANS (1981)? He in his old-school glory has more imagination in a gesture than the entire conceit of Echo. 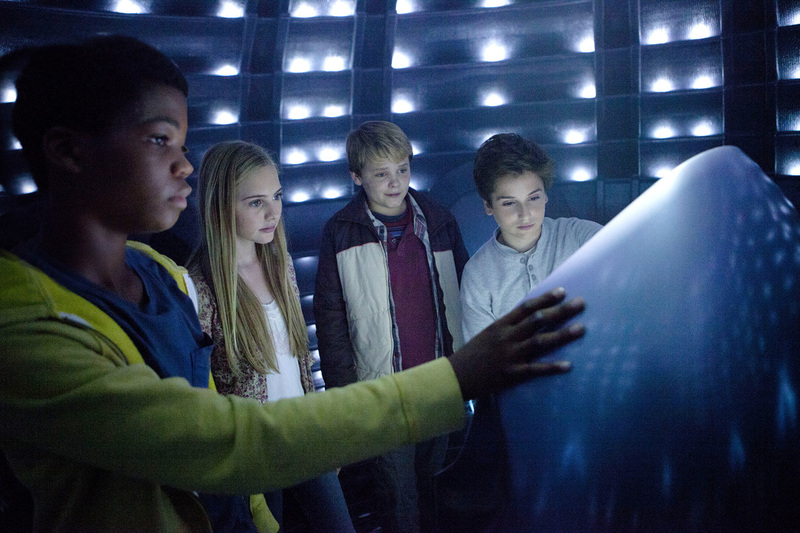 Discovering Echo, through the space critter sending the teenagers a map to its location, they decide to go to the location, even before knowing who has sent the info, in the middle of the night. (We are never told how/why Echo chose them.) Once found, Echo then gets them to find scrap parts in various locations ad tedium. Inept stuff. 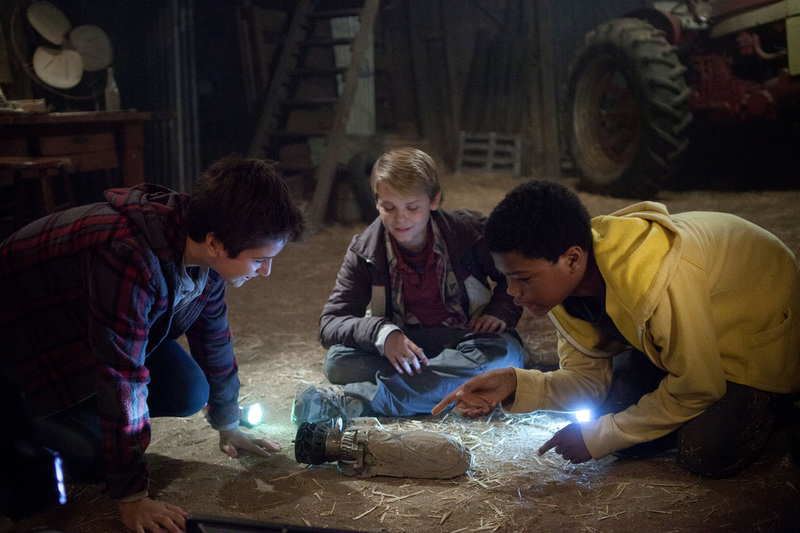 Watch SUPER 8 instead.